In the early 1960s, renowned chemist Dr. James Lovelock was approached by NASA to develop systems and methods that could be used in determining whether or not a planet harbored life. Specifically, they were interested in Mars. Lovelock began to consider what exactly constitutes life and what sort of global or planetwide effects it might have. One of the most basic characteristics of life, he reasoned, was that it consumes energy and matter, converts them and then discards the remainder as waste. He further theorized that the atmosphere of a life-sustaining world would be in a continual state of chemical imbalance, with life constantly consuming some gases and discarding others into the atmosphere. This is exactly the case on Earth, where most of us would agree that a great deal of life does exist. We breathe in oxygen and expel carbon dioxide, while plants reverse the process, constantly returning the generally volatile and reactive gases (oxygen and nitrogen) back to the atmosphere. The next step for Lovelock was to examine the atmosphere of Mars and compare it to Earth’s. If Mars has active life processes, then its atmosphere, like ours, should be in a state of chemical imbalance with gases in constant circulation. Unfortunately for Mars, its atmosphere is largely dead (at least to our type of life form). All the reactions that could have taken place have; the active and volatile gases (like oxygen) that would indicate biological life were long ago converted to more inert compounds. While a death knell for Mars, the revelation spoke volumes about Earth. Though our atmosphere was far out of chemical equilibrium and should have died eons ago, Earth’s balance was somehow maintained. Life, he reasoned, must be what keeps our unusual atmosphere in balance. Upon further reflection, Lovelock realized that the Earth as a whole was a much more complex and intertwined system than the simple analogy of life maintaining balance in the atmosphere. Other factors were involved as well: The whole system of the Earth – the air, the climate, the oceans, the geology, even belching volcanoes – seemed to be working together to maintain a delicate balance to support life. While plants and animals played a role and seemed to affect the Earth, the Earth in turn affected them. Everything seemed to be a piece of a larger living system. For me, [he wrote] the personal revelation of Gaia came quite suddenly – like a flash of enlightenment. I was in a small room on the top floor of a building at the Jet Propulsion Laboratory in Pasadena, California. It was the autumn of 1965 ... and I was talking with a colleague, Dian Hitchcock, about a paper we were preparing ... It was at that moment that I glimpsed Gaia. An awesome thought came to me. The Earth’s atmosphere was an extraordinary and unstable mixture of gases, yet I knew that it was constant in composition over quite long periods of time. Could it be that life on Earth not only made the atmosphere, but also regulated it - keeping it at a constant composition, and at a level favorable for organisms? The idea that the Earth itself is alive, and that it is somehow connected to us and we to it, is incredibly beautiful, but again nothing new. As with much else that we have examined, we need look no further than ancient mythology for evidence of that. Almost every culture throughout history has had some sort of concept of a Mother Earth. Hopi mythology speaks of Tapuat, who symbolized the cycle of life, its mortal path and its return to the spiritual realm. To the Sumerians, the Earth was embodied in Tiamat, a dragon goddess, responsible for all of creation. 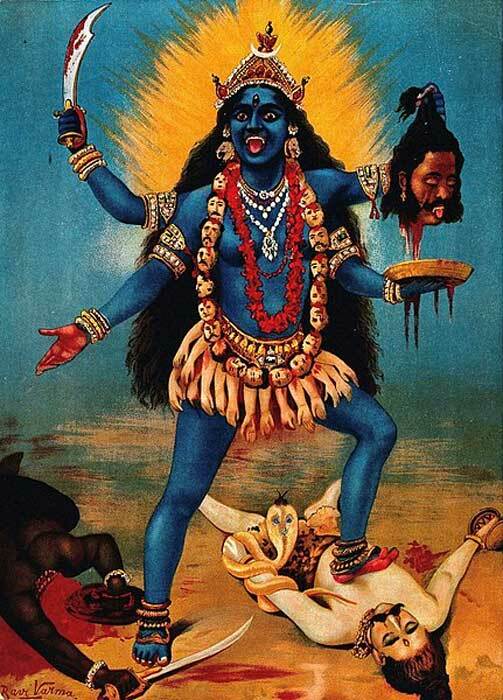 In Hindu belief the goddess Kali is the embodiment of the physical world, bringing a continual cycle of creation and destruction; it is Kali for whom the lowest of the ages is named. The concept of Earth as Divine Mother or the Mother Goddess was central to the earliest known cultures, far predating the masculine religions that emerged later in the lower ages. In fact, 90% of human sculptural artifacts from 30,000 to 5000 BC are female. The typical sculpture from the period depicts a voluptuous, obviously fertile, woman, sometimes with a shape as round as the Earth. 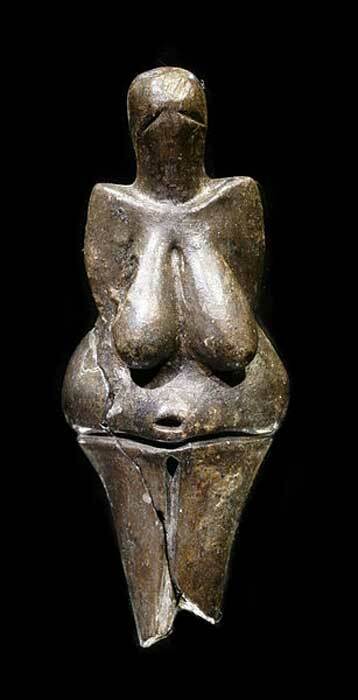 One of the oldest and best-preserved stone artifacts of this type, the famous Dolní Vestonice Venus with exaggerated hips and breasts, has been dated to about 25,000 BC. This means she was created in the prior Yuga cycle ! 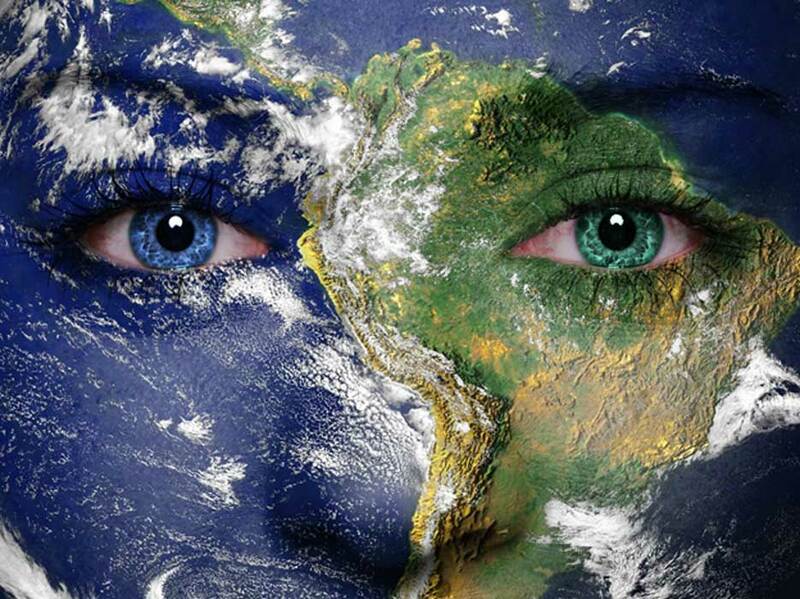 The Greeks gave us the name Gaia , for Earth (a feminine noun). It shares the root Ge, with the earth sciences of geology and geography. To the Greeks and other ancients, science and theology were not opposed to each other, they were just different ways of looking at the one whole. But somewhere during the lower ages science and religion became separated, leading to the study of the parts versus the whole, the material versus the ethereal. The one you could test, the other you couldn’t. Now, with a greater understanding of finer forces and big picture concepts like Gaia coming into clearer view, the pieces are coming back together. We are literally re-membering our history. There are many, many scientific papers and books detailing the nuances of Gaia theory – from how plants and the ocean’s plankton regulate cloud cover, sunlight and the Earth’s temperature, to the interplay of plate tectonics (the slow and continuous movement of the planet’s crust which allows for venting of heat and pressure from the Earth’s spinning liquid core). Looked at separately, these are just natural phenomena. Looked at collectively, or holistically, as Lovelock suggests, they all support the idea that the Earth, with its trillions of individual life forms and known and unknown natural processes, acts like a giant single intelligent organism – an organism, I believe, that lives in harmony with its brother and sister planets and stars, conversing with them in the language of the invisible electromagnetic spectrum. Now I want to show you how the Ancients understood (and worked with) this self-regenerating reality in the very earth at their feet. The scale and subtlety of the advanced civilizations that once covered the Earth is nowhere more clearly seen than in the anomaly known as Terra Preta. This enigma not only speaks of a profound knowledge of the earth, it reveals the values cherished by a people who lived in harmony with nature. It is something that our ancestors engineered and left for us – something we have still not been able to replicate with all our technology today. In many parts of the Amazon basin (and small areas of Ecuador and Peru) there exists an unusually rich soil so vibrant with life it defies definition. It is called Indian Black Earth or Terra Preta do Indio. Terra Preta is typically found in plots of 20 hectares, but sometimes will cover areas as large as 350 hectares (a hectare equals about 2.46 acres). When farmers come across this rich black soil amid the poor Amazonian soil (Oxisol) of the surrounding area they immediately recognize it as a great prize. They know this is where they can rapidly grow cash crops with no fertilizer. Corn, papaya, mango and many other vitamin-rich foods grow at three times the rate in Terra Preta soil, compared with the nearby tropical soil typical of the rest of the Amazon. If you are a farmer or living off the land, this type of enhanced yield can mean the difference between prosperity and failure. Terra Preta’s fame has grown to such a degree that it is often mined and sold as highly valued potting soil or a soil supplement throughout the region. Scientists today are especially interested in this strange dirt, not just because it is naturally rich in nutrients and perfect for farming, but because it behaves like a living organism: It is self-renewing. This means that as long as you don’t take too much of it away it will replenish itself, seemingly forever, without the addition of any new outside biological matter. There is no other soil like this and currently no good explanation why Terra Preta has this inherent quality. Unlike other soils, it does not need to lie fallow for long periods to regenerate, crops grow larger and faster in a shorter period of time without need of fertilizer, and the land can be better utilized. Terra Preta is more productive in every imaginable way. Needless to say, this amazing soil has become a hot topic among agricultural scientists around the world. There are now hundreds of scientific papers on the subject as well as symposiums dedicated to discussing the phenomenon. This article is an excerpt from the book ‘ Lost Star of Myth and Time ’ by Walter Cruttenden and has been republished with permission.